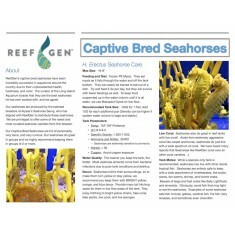 Bred and raised by fish breeding expert Todd Gardner and the Long Island Aquarium staff, these fish are at the top of their game. 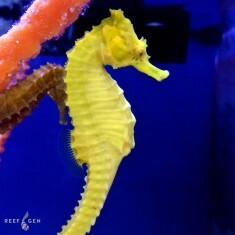 We offer the highest quality and brightest colored clownfish as well as healthy captive bred sharks which are reproduced in the aquarium’s enormous display tanks. 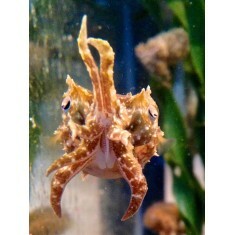 Some of these invertebrates and sharks are available nowhere else in the world as captive bred animals. 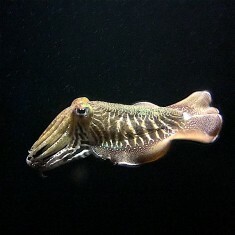 Baby (0-4 weeks:) 1/2"-1" Juvenile (1-3 months:) ~1"-3" ReefGen is proud to announc..
<<BABY CUTTLES ARE OUT OF STOCK -- BUT COMING BACK SOON! 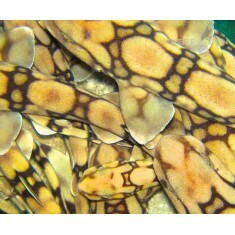 !>> Size: 1-2" G..
Captive Bred Chain Dog Sharks (Scyliorhinus retifer) Chain Dogs, also known as Chain Dogf..
Neon-Yellow Reidi-Erectus Hybrid Seahorses -- ONLY A FEW LEFT! They are finally back! 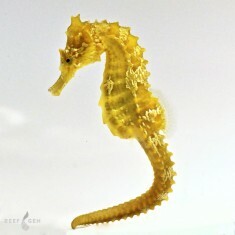 ReefGen is proud to now offer these incredibly rare and beautiful ..
NEW Seahorse POP Signs: Ask us about these new signs that we can print, laminate, and you then po..
Order Minimum: 2 Seahorses The Yellow Ornate Lined Seahorses, are captive bred..
New Lower Price!! 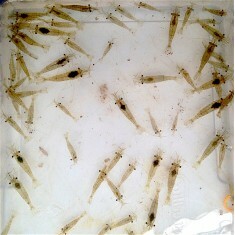 (Palaemonetes vulgaris) These highly nutritious shrimp are native throu..
Price is Per Pound Minimum Order is 50lbs Shipping estimate provided after order is placed. &n..